A charming and very small Eze village is situated on the coastal scenic route halfway between Nice and the tiny principality of Monaco. You can reach it by car or by public transport from Nice. 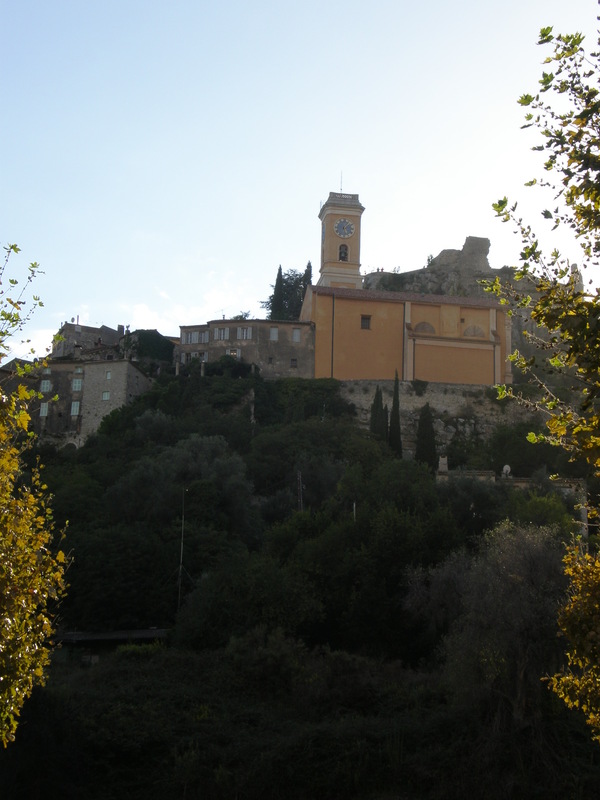 The famous philosopher Friedrich Nietzsche spent a lot of time in Eze, as did Walt Disney. You can walk uphill to see the remains of a former fortress or walk downhill to the sea. The perfume factory is located immediately below the main road. Fragonard perfume company was founded in 1926 and it was named after a Grasse-born painter Jean-Honoré Fragonard (1732-1806). You can find its factories in Grasse (the center of French perfume production), Eze and Paris while you can find its shops in most French cities. The free guided tour lasts approximately 30 minutes. 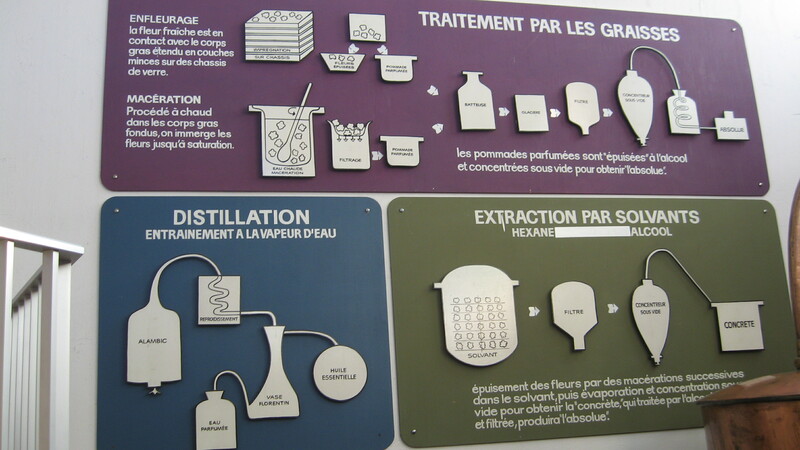 The guide shows you through the laboratories and explains briefly the perfume making process. She also talked about the making of soaps and creams and lotions. I also learned that the person who creates a perfume is called a nose. I won’t reveal any other secrets, you have to go and visit the factory for yourself to find out more. 🙂 The tour finishes on the shop floor where you can try out different perfumes. Since you’re in a factory the price of the perfume is far cheaper than the price of any perfume in your local parfumerie or drugstore. But you won’t see Chanel or Calvin Klein here. You can buy their perfumes: real, original French perfumes. I bought an eau de toillete Marche aux fleurs (50 ml for 12 €) which I have been buying ever since whenever I come across a Fragonard shop. I also bought a perfume for a friend. They have also a lot of cute soap souvenirs and lotions and face creams. Grasse is situated above Cannes and you can visit it by car or by public transport from Cannes or Nice. 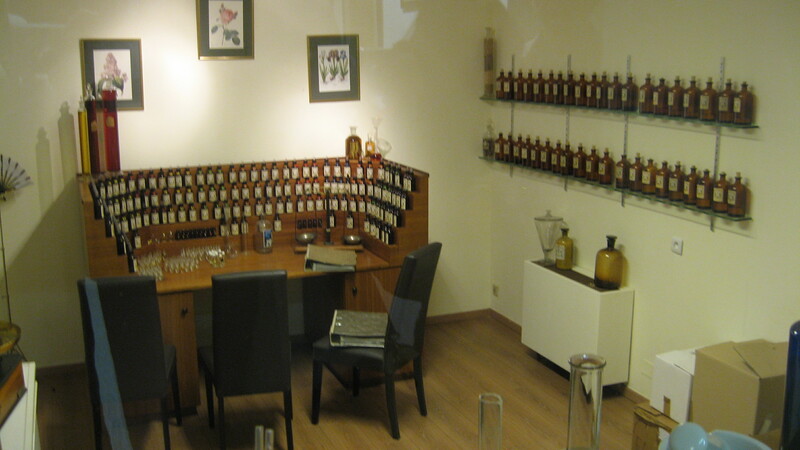 Parfumerie Galimard was founded by Jean de Galimard in Grasse in 1747. It has even supplied the French court with its perfumes. Grasse is known as the world’s perfume capital. There are two Galimard factories/shops in Grasse opened to the visitors as well as one in Eze. The tour is pretty much similar to the one in Fragonard factory in Eze. I visited Galimard factory&museum in the street Route de Cannes in Grasse. There’s a big copper distillation tank at the entrance and there are other old tanks and equipment inside. 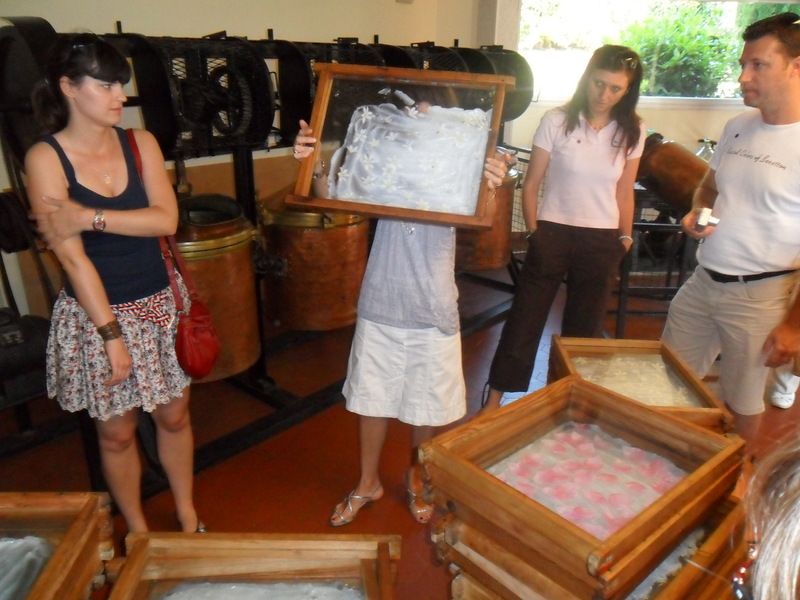 The guide also described the difference between eau de toillete, eau de parfum and parfum as well as explaining the process of perfume making. Furthermore, she explained why are perfumes so expensive to buy in shops. I also got to see the nose’s office and of course tried out their perfumes. They’ve got lotions, creams, soaps, candles, home scents too. The guide was kind and funny. Of course, you can’t visit a perfume factory and not buy something! I got a perfume for my husband and for myself and for a friend. I bought several of their perfumes so far but I liked best Brindille. You can buy an actual perfume (not an eau de toillete or eau de parfume ) for around 58 € for 100 ml! Yes, a 100 ml of perfume :). They don’t have small bottles. I liked both the factories Fragonard and Galimard. For more information check here http://www.galimard.com/index.php/en/ and here https://www.fragonard.com/en/. I can’t find any photos from my visits apart from these from Galimard factory, sorry. This post was written for Monthly Travel Linkup (theme Scent) hosted by Emma, Jessi, Angie and Sus. Great post with really exciting things about perfumes. I really appreciate your blog and glad to share with others. Thank you for sharing that blog with us!!! I have plans to visit France this summer, but I won’t be anywhere near the French Riviera or Cannes. Maybe next time. This sounds like such a fun and unique experience! Living 20 mins from Grasse I’m lucky to be able to pop in to these perfumeries whenever I want, and I do, I love them so much. The Fragonard boutiques in Grasse are some of my favourite shops of all time. Next time you’re in “my” area you must contact me, it’d be fun to meet. Thanks for linking ot #AllAboutFrance, I’m sure a lot of people will find this post very useful when planning a trip to the Riviera. What a fantastic experience! I’d love to visit this someday or actually, I just want to finally make it to the south of France. I’m surprised at the affordability of the perfumes and even better that the tours are free. I visited the factory in Grasse and found it really interesting 🙂 Nice post! So interesting! I would love to visit one, one day! I have heard before that perfume tours can be really cool – and now this definitely confirms it! I love all the fun facts you have about the history. Thanks for sharing this fun thing to do in the south of France with us! Thanks for this article we visited Grasse last summer, but only walked through the http://www.museesdegrasse.com/en I would like to go back and do one of these factory tours. I love the south of France and especially those villages! I’ve visited Fragonard years ago and loved their solid perfumes which are ideal for traveling! Definitely adding these to my list of places to visit in France – what an amazing experience! I visited Fragonard too, years ago – I remember I bought one of those little solid perfumes that was so great for travel. Thanks for joining the link up! The prices for the perfumes are good value I think. Thanks for sharing your review of the perfume factories! I really enjoyed reading this post. Takes me right back to my own visit to Grasse years ago. Enjoy your Sunday!